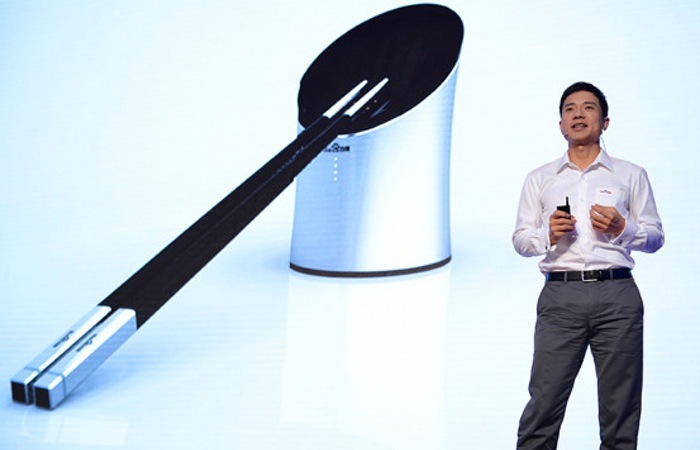 During Baidu’s annual developers conference this week Baidu has unveiled their new smart chopsticks known as Kuaisou in Chinese. Which have been designed to warn users about the food they are about to eat if it is unsafe to digest. The new prototype Baidu smart chopsticks are capable of detecting “gutter oil” which is illegally reprocessed cooking oil that can contain cancer causing compounds. Watch the videos below to learn more about the smart chopsticks and the interesting BaiduEye project to see them in action.